The August issue of “The Curvy Magazine” is fully dedicated to “Curvy Supermodel”. To look like curvy model Angelina Kirsch? We met her hair and makeup artist, Max Roman, to aske him about how to imitate her stunning looks in just a few steps. We keep our fingers crossed and look forward to the winner. Good luck, ladies, all of you are already the winners of our hearts! Please support and recommend us. Let’s join forces to achieve a rethinking among the society in terms of beauty ideal and body sensation. 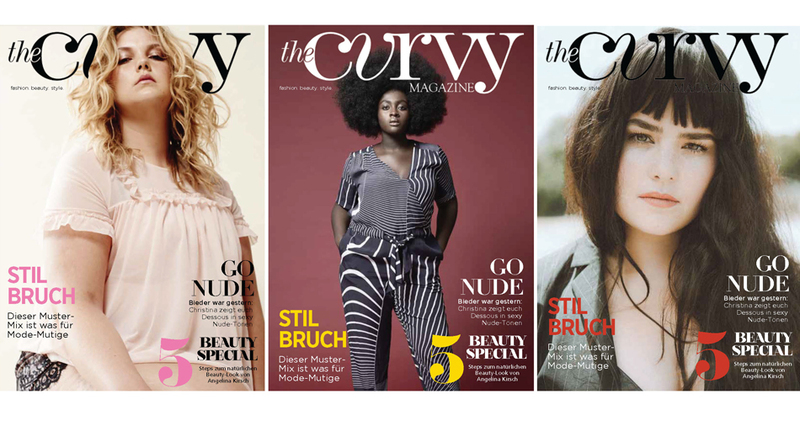 The next issue of „The Curvy Magazine“ will be out on September 5!